Speech, language and communication skills develop in the early years. They are the tools which help us make sense of the world, interact socially, understand and regulate emotions, make friends, play and learn. In the world of theatre, where I’m from, ‘Speech and Language’ conjures up something quite grand. But in this blog I’m not talking about formal oratory or performance skills. I’m talking about the ability to understand, to listen and to convey something to someone else. On average in the UK about 1 in 10 children have some kind of difficulty with speech, language or communication (known as a speech, language and communication need, or SLCN). However, in areas of disadvantage The Communication Trust estimates that up to 50% of children start school with a SLCN. Talk to a primary school teacher in inner London and they will probably estimate an even higher proportion. Headteachers report that, before teaching children how to read and write, schools increasingly have to teach children to speak and play. 10 years ago the snappily named ‘Bercow Review of Services for Children and Young People (0–19) with Speech, Language and Communication Needs’ was published. It highlighted SLCN as an issue that needs addressing by those working in child development, education, health, mental health, criminal justice, social mobility and basically the whole of society. There was no mention of those working in the arts, but that’s not unusual in a government report. Artists are not the ‘go-to’ people for…anything really. Luckily, thanks to some inspired thinking from someone in the NHS Speech and Language Therapy Service, around the same time as the Bercow Report, London Bubble Theatre were approached to help develop a drama intervention which later became known as ‘Speech Bubbles’. The idea was that drama practitioners, with appropriate training from Speech and Language Therapists, were well placed to support children’s communication development. Partly because drama uses a whole-body approach to communication, and partly because we know how to make things FUN. Speech Bubbles developed and refined and grew. 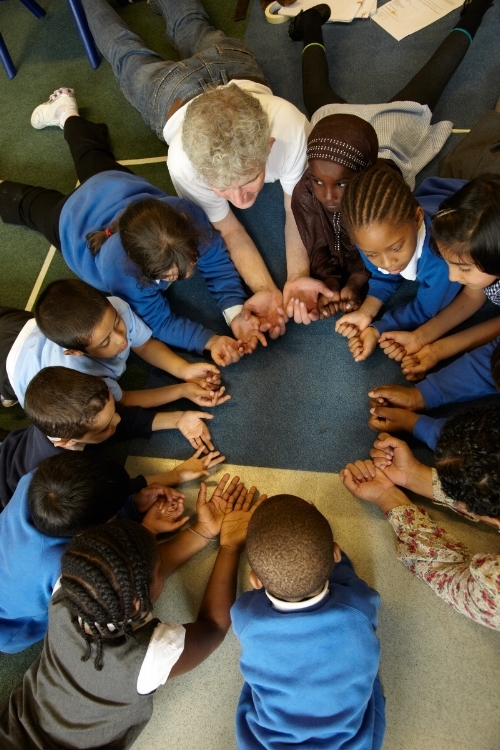 London Bubble run the project in south east London, but Speech Bubbles is also delivered around the country by M6 Theatre, Half Moon YP Theatre, Immediate Theatre, UEL, Kazzum, Trinity Theatre, Peoplescape, North West Drama, Face Front and Oldham Theatre Workshop. Now, Speech Bubbles has been picked up by the RSA and the Education Endowment Foundation to be part of their Learning About Culture trial. Next year, on top of our standard programme an extra 25 schools (500 children) will receive Speech Bubbles as part of a randomised control trial on the impact of arts in education. Research has been a key part of Speech Bubbles’ development and success. It has raised the eyebrows of a few of our arts peers, for fear that attempting to measure the arts negates the very unmeasurable things that make it so special. But research has been an essential tool for us to improve our work and speak beyond our sector to policy makers, speech and language therapists, teachers, teaching assistants and parents. As the Bercow review identified, if we want to properly address the SLCN problem we need to work with a variety of different people. To do that we need to adjust our communication style to help those people understand what the arts can do. 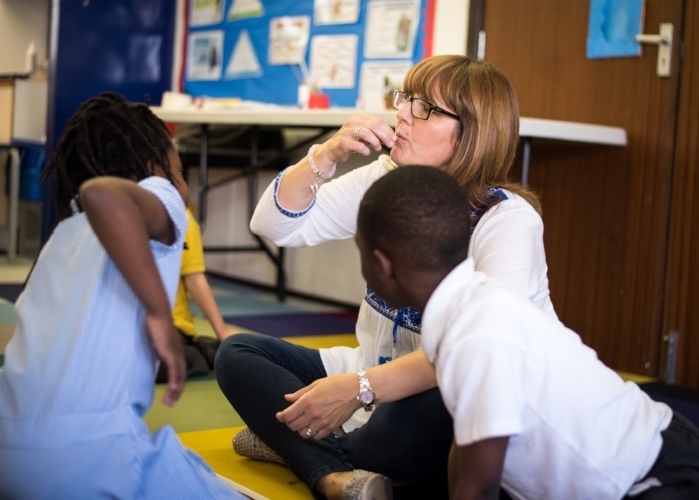 Recently Dr Heather Price and Eric Ansong at UEL undertook a comparison group study which has helped us talk to schools and speech and language therapists about the specific areas of communication that we work on. And most recently Pro Bono Economics and EY created a cost-benefit appraisal, which might not engage everyone with its talk of “1-to-1 to 2.7-to-1 BCR” (huh? ), but it allows policy makers to compare Speech Bubbles with other public spending on exactly the same measures. Of course not every arts project is suitable to be researched and prodded in this way. But where we see arts projects quietly having an impact on some of the country’s biggest problems, why not share our learning? Artists will never be the ‘go-to’ problem solvers unless we meet other sectors half-way and communicate our impact clearly.